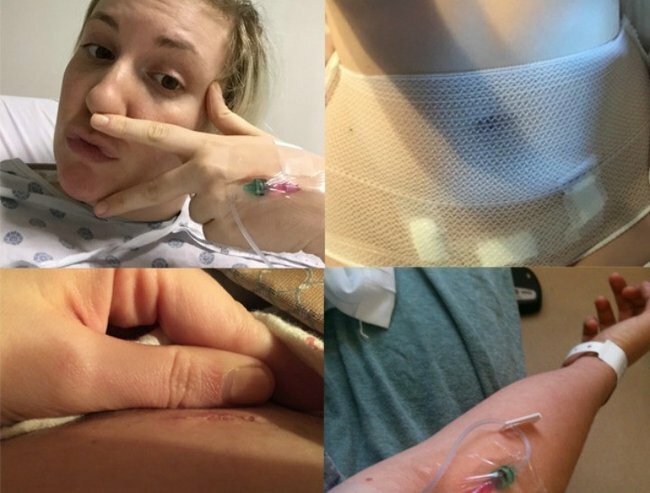 Lena Dunham's beautiful words on living with endometriosis. 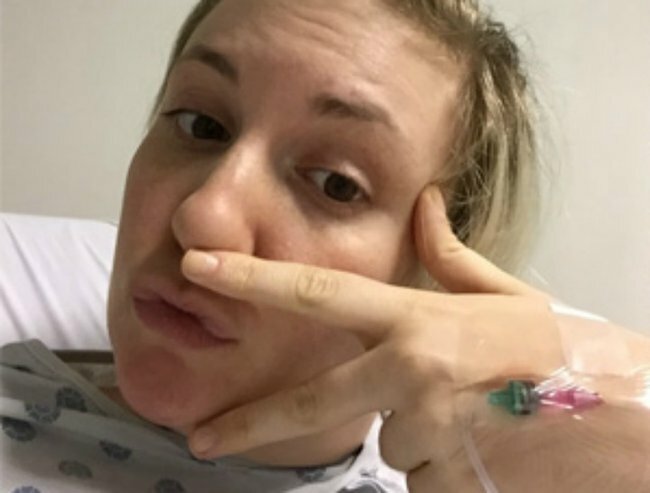 Lena Dunham on how an endometriosis diagnosis made her sane again. 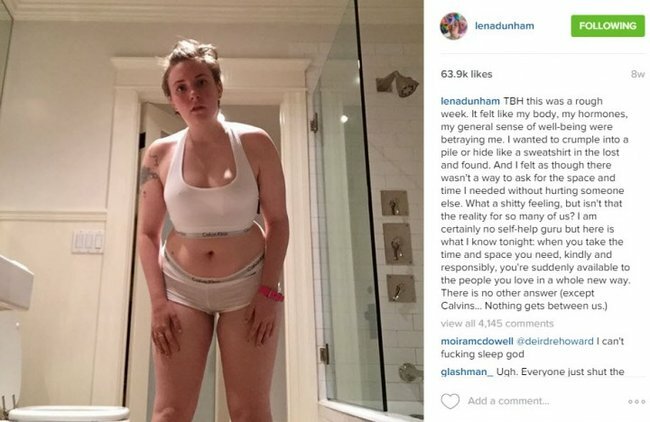 Lena Dunham has been ‘the sick girl’ for as long as she can remember. She suffered crippling anxiety since early childhood, obsessive compulsive disorder, mood swings, fatigue and countless other physical ailments. Not one to shy away from sharing the intimate details of her life, the Girls creator and star has written an essay for Lenny about life as ‘the sick girl’ and how an endometriosis diagnosis made her feel sane again. Dunham says from the time of her first period, things didn’t feel right. “The stomachaches began quickly and were more severe than the mild-irritant cramps seemed to be for the blonde women in pink-hued Midol commercials,” she wrote. The pill and high doses of antidepressants did not help. “Whatever the cause of the pain and fatigue, I missed 62 English classes in tenth grade and was crowned the grade’s sickest girl,” she says. Dunham says she tried to shake the label and reinvent herself in college, but it wasn’t long before she was back in the emergency room (this time with a bacterial infection and mononucleosis). So moved by all of you who have responded to @lennyletter #8 in which we talk about endometriosis and chronic pain. You all make me feel like part of a very cool club rather than a sad crampy loner. Let’s remember we are in it together and our reproductive organs deserve the same attention as our male counterparts’ ! Let’s keep the dialogue going and never shroud ourselves in secrecy. Shrouds of secrecy are for the birds!!! BTW I found this special picture by googling “glitter uterus”!!! Dunham said she tried to work through crippling pain during gruelling days on film sets while working with largely male crews. “Already self-conscious about imposing my vision on a group of men and asking for their help in executing it, I hid my pain as best I could,” she wrote. It wasn’t until after the first season of Girls, that a specialist diagnosed her with endometriosis. “I could tell I wasn’t the only woman he had seen through the discovery of her own sanity,” she wrote. A low-dose pill helped, but once a month she would turn up to work unable to move a muscle. Surgery three years later revealed uterine tissue had grown over her abdominal walls and other internal organs. Dunham says wasn’t keen on having a baby just to improve her medical condition (apparently pregnancy usually helps women with endometriosis), so she now takes monthly injections that stop her body producing estrogen – something that helps, despite its other side effects. Dunham says despite her condition, she wouldn’t change being a woman for anything. Do you know the symptoms of endometriosis?